Magic Consul has upstaged a field of weight-for-age stars to win the Dato Tan Chin Nam Stakes. Magic Consol has given trainer Paul Preusker his biggest success winning the Group Two Dato Tan Chin Nam Stakes at Moonee Valley. However, the trainer, based in the western districts of Victoria at Horsham, missed the moment. He was instead saddling two runners at the Adelaide meeting at Morphettville. A $19 outsider in Saturday’s 1600m weight-for-age contest, Magic Consol was given a perfect ride by Jordan Childs running out a short-head winner from Homesman ($15) with the $3.40 favourite Night’s Watch a head away third. 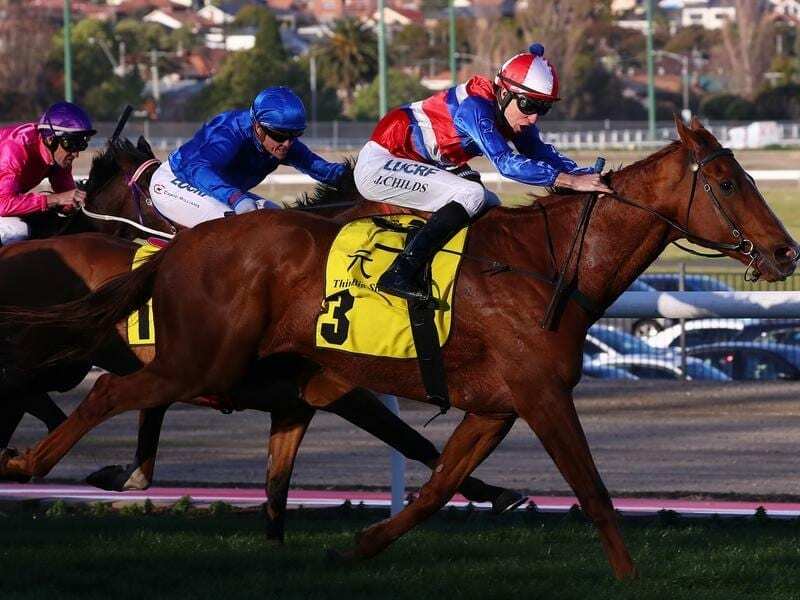 Saturday’s race gained the winner automatic entry into the Caulfield Cup and was also a Cox Plate qualifying race, however Magic Consol has not been nominated for either. Payment of a $200,000 late entry fee would gain Magic Consol a start with Preusker saying the idea of running in the Cox Plate was tempting. “It definitely is,” Preusker told racing.com. “I’ll go back to the owners, but I’ve said all along 2000 metres is probably the bottom of him and a 2000-metre race at that level is probably like 2400 metres to him. Magic Consol was the first runner Preusker had saddled at Group Two level with the majority of his 2500 starters in 25 years of training being on country tracks. Childs wasn’t surprised by the win saying he was on a fit horse despite the nine-year-old having his first start since winning the Listed Winter Championship Series Final at Flemington in July. “Once I had a nice run and I was left alone just behind them I always knew I was going to be in the finish,” Childs said. John Allen who rode the favourite Night’s Watch said he was slow to begin but got into a nice spot. “He just got pushed a little wide on the corner but he battled well to the line and wasn’t beaten far,” Allen said. Craig Williams rider of fourth-placed, the Godolphin galloper Hartnell ($4.40), said he was happy with how the gelding travelled. “He felt really well,” Williams said.